Who is Cambridge Electonics Incorporated? 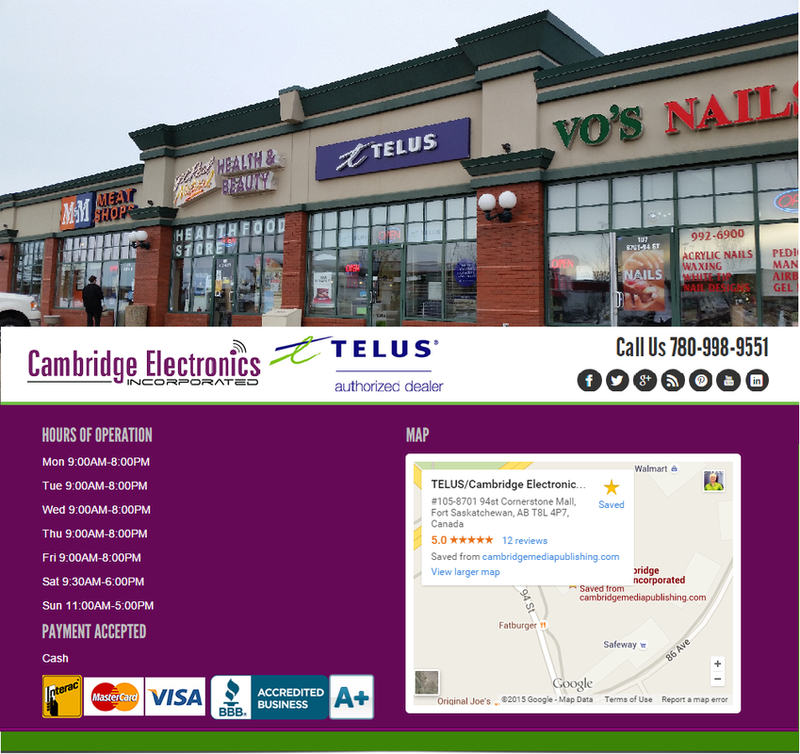 We’re a team of about a dozen Telus Specialists, professional problem solvers, tinkerers, and all around geeks, working around the clock to make Cambridge Electonics Incorporated the best Telus Service Provider in the universe. But enough about us—let’s talk about you. Whether you own a business or are using Telus Products personally, you need a Telus service Provider that takes care of the complicated stuff, so you can enjoy the telus products you have come to depend on. Cambridge Electonics Incorporated makes it easy to select the proper wireless device and match it up with the accessories you need, share them on social networks, integrate with web services you already use, and track your results. You’ll love mixing and matching smartphones, plans, features, and the accessories to suit your needs—think of it as your own personal communications hub. We have been happily been serving Fort Saskatchewan and Area since 1994. The longest Serving Communications Specialist with most experienced staff in the area.